Time to take a look at Rob Zombie’s 2007 remake, with it’s loveable characters, well written dialogue and subtlety. It’s that time of the year when the tree is up, the presents are wrapped and Santy is on his way…So what better time to do a mammoth show talking about Italian cannibal movies. This week we take a gander and have a chat about Zombi Holocaust, Cannibal Apocalypse, Cannibal Ferox and Cannibal Holocaust. So, pour yourself a glass of bucks fizz, get some nibbles, a bucket to throw up in and enjoy. Merry Christmas from all of us here at Wafu HQ. This week we dive into the murky waters of WWE Films/Studios with their 2006 effort ‘See No Evil’. We’re back with our first show of 2015 and it’s a bit of a fresh start for us as from now on we’re going weekly; every Wednesday you’ll get a new show packed with the jazz meshanigans you’ve come to love, loathe and lather all over your lovely boatraces. 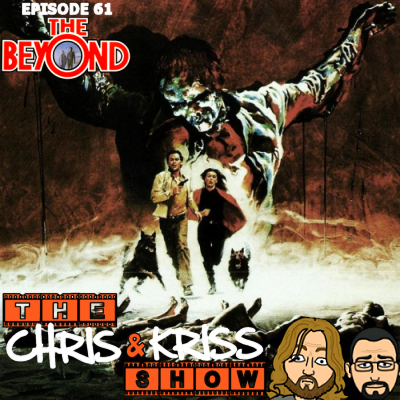 This week we go over a bit of quick news and then review Lucio Fulci’s classic 1981 masterpiece, ‘The Beyond’. And also, if you enjoyed the show, we’d really apreciated a rating and/or review of the show on iTunes. Also, we’re on Stitcher and the UK Podcasters database! (links below) Reviews and ratings at any or all of these places would be most appreciated!